Window coverings are a necessity for both homes and businesses. Without them there’s glare on screens, a lack of insulation and privacy, and even sun damage to furniture. Our professionals are here to assist you in finding the most effective and complementary blinds or shades for any room or area to improve its look as well as prevent all of these potential issues. Using the knowledge that comes with years of work in the field, the free consultation and color sampling provided will make it simple to find the style that will look excellent in your living room, bedroom, or even office building depending on your needs. Our professionals want to ensure that each and every one of our customers ends their experience satisfied with a job well done, no matter how big or small the project may be. This includes after the window coverings have been purchased! That’s why warranties from five years to a lifetime are offered so you won’t have to worry about any problems down the line. This is what makes us one of the finest and most reliable companies in California! Whatever you require for your window coverings, our team is bound to have a style that will match it! Looking to keep your home cooler along with a deck or patio? Exterior shading will do just the trick! Have large windows that need to be covered? 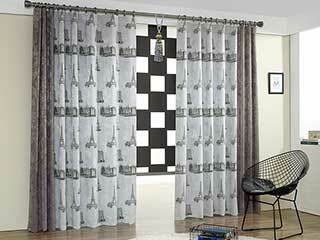 Vertical blinds will do so without making things look too busy with a lot of lines as other blinds would. Motorization is available as well for shades to make life just that much easier! Sync them with your smart home so they can be adjusted according to the temperature and help save you on energy, or set a timer yourself to have them open and close without you having to be there. They move quietly and easily, making them great for nurseries as well!